With one of the most advanced cardiovascular hybrid suites in the country, the physician's practice of UT Health San Antonio's cardiologists offer the most extensive expertise in South Texas for evaluating and treating atrial fibrillation (Afib). When a patient experiencing heart arrhythmias arrives in our practice, the physician's practice of UT Health San Antonio's specialists take a thorough medical history and order all the non-invasive cardiac testing necessary to determine a correct diagnosis. 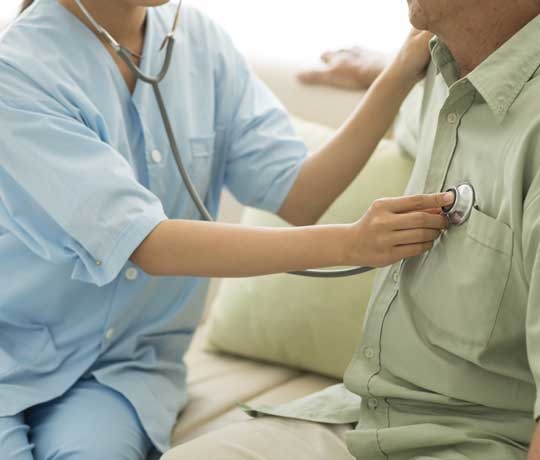 These diagnostic tests could include an ultrasound of the heart (echocardiogram), an electrocardiogram (EKG) and an at-home monitor called a Holter monitor. If an atrial fibrillation diagnosis is confirmed, our cardiologists quickly take action in creating a personalized treatment plan to achieve the best possible outcome using the least invasive procedure possible. The physician's practice of UT Health San Antonio's patients benefit from an advanced hybrid treatment method which combines catheter ablation treatment and minimally invasive cardiac procedures all within the same room — without moving the patient. This method has been proven successful at healing atrial fibrillation in up to 90 percent of cases.